OTTAWA – Wyatt Hill scored nine of his game-high 15 points in the first quarter Wednesday, and Ottawa never trailed in a 56-37 win over Yorkville that clinched at least a share of the final NIB12 West championship. Tyler Carson added 14 points and six rebounds for Ottawa (21-2, 10-1), Myles Tucker chipped in 13 points, and Dakota Deverteuil finished with nine points and seven rebounds in the victory. Cole Yearsley led Yorkville (8-17, 4-5) with 11 points in a loss that delivered the NIB12 East title to DeKalb. What a win!! 61-60 over Westmont in OT. Down 2 w/ 1 sec left, Jimmy Tredway stepped to the line & made all 3 FTs to win the game! Now in a 3 way tie for 2nd place. Made 11 3’s on the night. 7-1 on road this season. WESTMONT – Streator improved to 11-12 on the season, 6-2 in Interstate 8 Conference play. 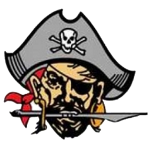 AURORA – Jakob Setchell poured in a career-high 40 points Wednesday, but Serena dropped a non-conference tilt to I.M.S.A., 86-82. Brennan Marker added 12 points for the Huskers (12-14), Ben Shagrue contributed nine points and Riley McNelis tallied eight points in the loss. OTTAWA – Ottawa surrendered a 10-point halftime lead Wednesday, then could not take advantage of the extra session after Anthony Cooper sank a game-tying 3-pointer with 0.5 seconds left in regulation. Zach Vogel led the Corsairs with 13 points and six rebounds. Cooper finished with 11 points and eight boards. OGLESBY – La Salle-Peru grad Lexi Marx led three players in double figures with 17 points, fellow former Lady Cavalier Gena Fassino had 11 points, and Marquette alum Maddie Dougherty poured in 12 points for the Eagles (12-10, 4-3). UNDATED – The Marquette seventh graders earned a 25-21, 13-25, 25-11 win over Putnam County, with Emma Rinearson leading the way with 12 points. Grace Dose and Nora Rinearson tallied nine points apiece in the victory, while Rylee Griffin and Lilly Craig each chipped in three kills. Marquette also won the eighth grade game over Putnam County, 27-25, 25-12. Eva McCallum piled up 10 points, six aces and six kills in the victory. Kaylee Killelea added six points, three kills and nine assists. Lindsey Kaufmann contributed five points, five kills and seven assists in the win. Darby Morganflash led the defense with five digs and Jessica Follis finished with four digs in the victory. Against Wallace, Marquette lost the seventh grade game, 25-13, 25-15. Emma Rinearson had seven points, Natalie Dumyche was credited with four kills, and Craig finished with six digs. Marquette picked up a 25-14, 18-25, 25-15 win over Wallace in the eighth grade game. Morganflash finished with nine points and six digs, while McCallum tallied seven points, six kills and five digs. Killelea and Kaufmann each contributed nine kills and 13 assists in the contest.